From Wizards of the Coast. Rise Among the Worthy! The desert oasis of Amonkhet forges warriors. You have trained your entire life for a chance to face the Trials of the Five Gods and join the elite ranks of the Worthy. Using your strength, speed, and cunning, overcome deadly challenges and rise above the competition to claim an honored place in the Afterlife! 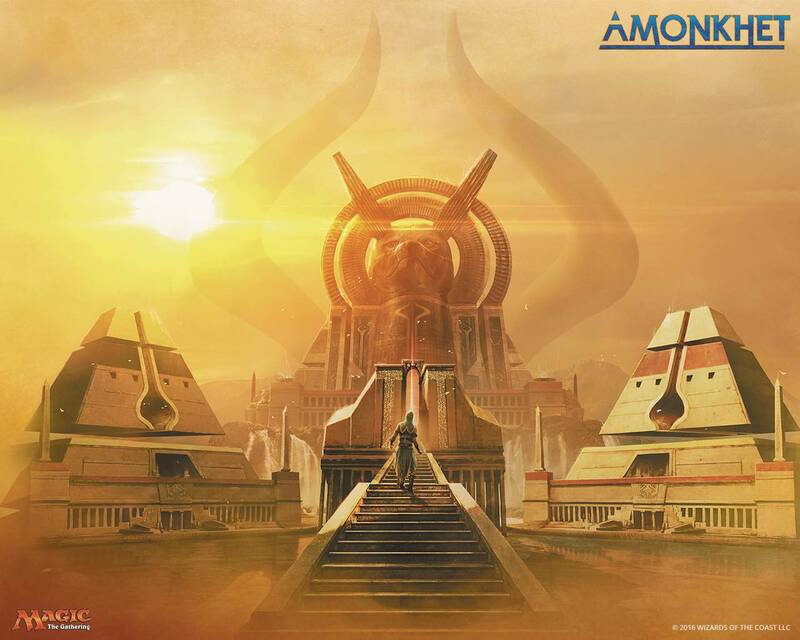 The first set in the Amonkhet block for Magic: The Gathering, this 264-card expansion is introduced in two unique Planeswalker Decks, 16-card boosters packed in 36-count displays, and bundle packs..